The concept of God in Islam describes Allah as the most Merciful and the most Loving and whatever He prescribes for humankind is in the best interest of humankind. Submission to the will of God is a pathway to purity, to peace and ultimately to Paradise. 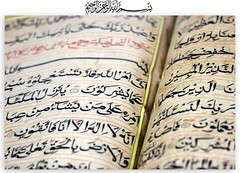 The word Quran most frequently uses to describe worship is Ibadah. Ibadah is the root of the word ‘ubudiyyah, which means to express ones humility or humbleness, and as with most Arabic words there are many shades of meaning. Ibadah involves more then an awareness of humility. It is the complete sense of humbleness that overcomes one who is totally submitted to the will of God, the Almighty. Worship is submission to God, the essential part of submission is humility. Humility can guide us to Paradise, just as its opposite, arrogance, kibr in Arabic, can only lead us into Hell. It is Satan’s arrogance that caused his expulsion from Paradise; when he refused to humbly obey God’s command and prostrate before Adam, the father of mankind, he condemned himself and his followers to Hell. Satan’s lack of submission, or humility, resulted in one of the most pious of God’s creatures falling into the abyss. No one who behaves arrogantly or who acts as if he or she has power over others is capable of true submission. All power and strength is from Allah alone. All human beings are equal in the sight of Allah and the distinctions between nations, tribes, and families are only to know each other and not for the sake pride. The main pillar of worship, Ibadah, is the prayer. The congregational prayer is performed in rows where all men stand before Allah as equals. There is no special place for the rich or powerful, the meek and poor are not relegated to the back lines. Each man bows his head in humility knowing that his brothers, on either side of him are equally important in the sight of God. Only one thing raises one man or woman above another – piety. True piety or righteousness is not achievable without cultivating a sense of humility. Humility comes from knowing about Allah and recognising His greatness, venerating Him, loving Him and being in awe of Him; and it comes from knowing about oneself and one’s own faults, and weaknesses. Allah gives this characteristic to those who struggle to become close to Him through deeds of piety and righteousness. Humility is one of the greatest blessings Allah can bestow on a human being. It allows one to achieve genuine submission. Prophet Muhammad(pbuh) was truly submitted to Allah; his character was one of complete humility and based on sincere trust in Allah. He was a model of kindness and humbleness. In fact, the characteristics displayed by Prophet Muhammad were the exact opposite of pride and arrogance. Every aspect of his life reflected humbleness, even his walking, talking, sitting or eating. The Prophet(pbuh) did not behave towards others as if he was better than they were, nor did he spurn manual work. One of his companions reported that Prophet Muhammad(pbuh) worked happily with servants or workers. Other companions related that the Prophet(pbuh) tidied his house, tied camels, feed animals, ate meals with his servants, and helped them in kneading dough and bringing provisions from the market. It was also reported that he used to visit the sick, attend funerals, ride on a donkey, slow down his pace for the sake of the weak and accept invitations from the poor. The companions of Prophet Muhammad(pbuh) and the early generations of Muslims understood the concept of humility. They behaved humbly towards God and mankind because of their love for God, and their fellow man, and fear of punishment in the Hereafter. Note: Allah: Arabic word for God. One of the most distinguishing features of the Muslim is his deep faith in God and his conviction that whatever happens in the universe and whatever befalls him, only happens through the will and the decree of God. The Muslim is closely connected to God, constantly remembers Him, puts his trust in Him and is obedient towards Him. His faith is pure and clear, uncontaminated by any stain of ignorance, superstition or illusion. His belief and worship are based upon the teachings of the Qur’an and the authentic Hadith. He feels that he is in constant need of the help and support of God. He also has no choice in his life but to submit to the will of God, worship Him, strive towards the Right Path and do good deeds. This type of mentality will guide him to be righteous and upright in all his deeds, both in public and in private. A Muslim also pays as much attention to his spiritual development as to his physical and intellectual development. He does so in a precisely balanced fashion which does not concentrate on one aspect to the detriment of others. For this reason, the life of a Muslim revolves around the worship and remembrance of God; five daily prayers, fasting the month of Ramadan, etc. With his wife, the Muslim exemplifies good and kind treatment, intelligent handling, deep understanding of the nature and psychology of women, and proper fulfillment of his responsibilities and duties. With his children, the Muslim is a parent who understands his great responsibility towards them. He pays attention to anything that may influence their Islamic development and give them a proper education. This is so that they may become active and constructive elements in the society, and be a source of goodness for their parents and community. With his relatives, the Muslim maintains the ties of kinship and knows his duties towards them. He understands the high status given to relatives in Islam, which makes him keep in touch with them, no matter what the circumstances. With his neighbors, the Muslim illustrates good treatment and consideration of others’ feelings and sensitivities. He puts up with their mistreatment and turns a blind eye to his neighbor’s faults while taking care not to commit any such errors himself. A Muslim’s relationship with his brothers and friends is the best and purest of relationships because it is based upon loving for the sake of God. He is loving towards them and not cold-hearted. He is loyal to them and does not betray them. He is sincere and does not cheat them. He is tolerant and forgiving. He is also generous and supplicates for their happiness and well being. In his social relationships with all people, the Muslim is well-mannered, civil, noble, and characterized by the attitudes which Islam encourages. Some of these characteristics are: not being envious of others, fulfils his promises, modesty, patience, avoiding slanders and obscenities, not interfering in that which does not concern him, refraining from gossiping, and avoiding stirring up trouble. These are the qualities and attitudes that every Muslim strives to make as part of their character and personality. For this reason, a society that has residents with such characteristics is one that will enjoy true happiness and peace. The following is a sermon that is mentioned in ibn Al-Qayyim’s famous book Zad Al-Ma’ad (Provisions of the hereafter). This book is one of the important resources of knowledge for those who seek to know the Seerah of their Prophet (S.A.W.S.) as well as, the Fiqh learned from it. This is a book that is unique in that it explains the Sunnah through the Seerah and the Seerah through the Sunnah. This sermon was delivered when the prophet (S.A.W.S.) first arrived in Quba / Al-Madinah and before he (S.A.W.S.) built his mosque in Al-Madinah. Malik that he said (part of the narration): “After the Messenger ofAllah arrived in Al-Madinah and he stayed In Quba’ on Monday, Tuesday, Wednesday and Thursday and he built their mosque, then he left on Friday and time for Friday prayer overtook him in the land of Banu Salim Ibn ‘Awf, and so he prayed it In the mosque which was in the middle of the valley before the building of his mosque.